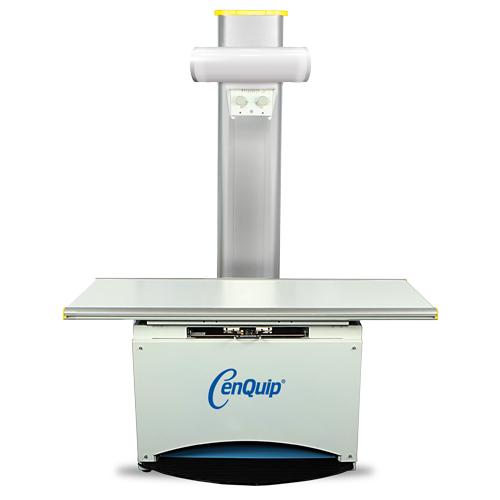 The Revolution 4DC – specifically conceived for digtal XRAY imaging. 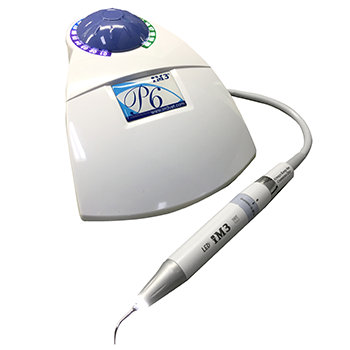 The Revolution 4DC allows uninterrupted use during multiple exposures, such as full mouth acquisition, thanks to the Dynamic Duty-Cycle, based on real time control over the bulb temperature, visible on the handheld display. Furthermore, the constant potential tube head combined with the smallest focal spot available for intra-oral imaging (0.4mm) guarantees consistently sharp images. The full-swivel ball-joint is revolutionary in every sense. The tube head revolves freely around the sphere, so that practically any position can be achieved, including vertical. Automatic touch-sensitive lock-on/lock-off device enables effortless repositioning of the tube head between exposures. 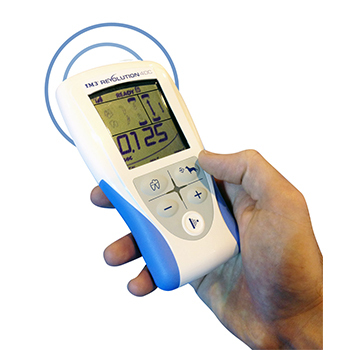 A wireless handheld remote allows you to program / operate the unit from wherever you are in the surgery. 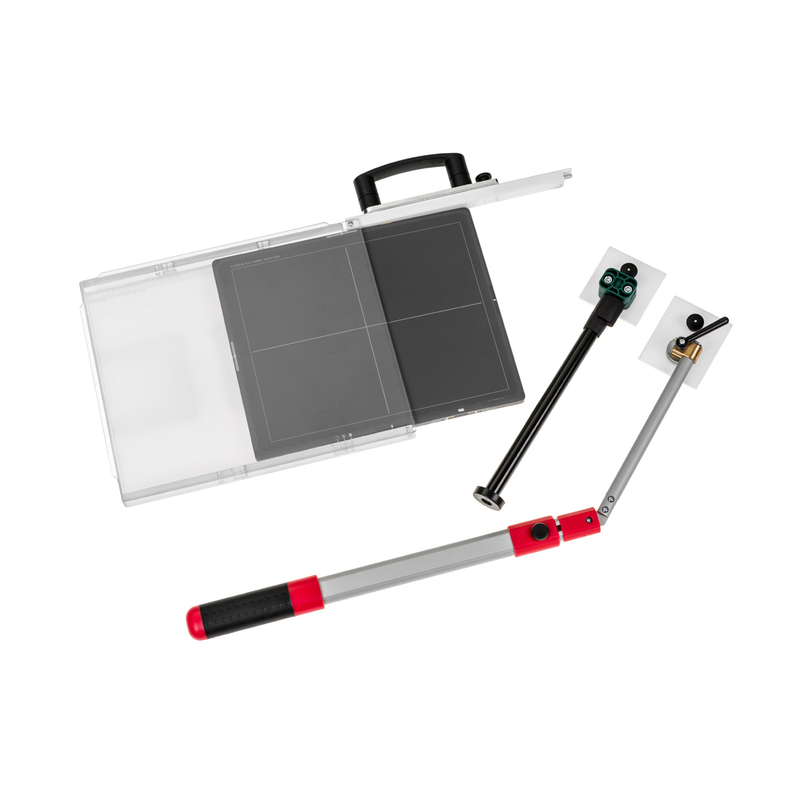 Easy-to-use and easy-to-handle, the remote offers a full range of intuitive exposure scenarios designed to make correct X-ray acquisition a straightforward process. No more complex programming or button-crowded panels. 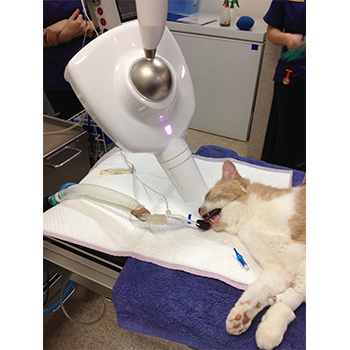 The Revolution 4DC automatically defines the correct exposure and adjusts the kV and mA by selecting the tooth on the vet specific display. 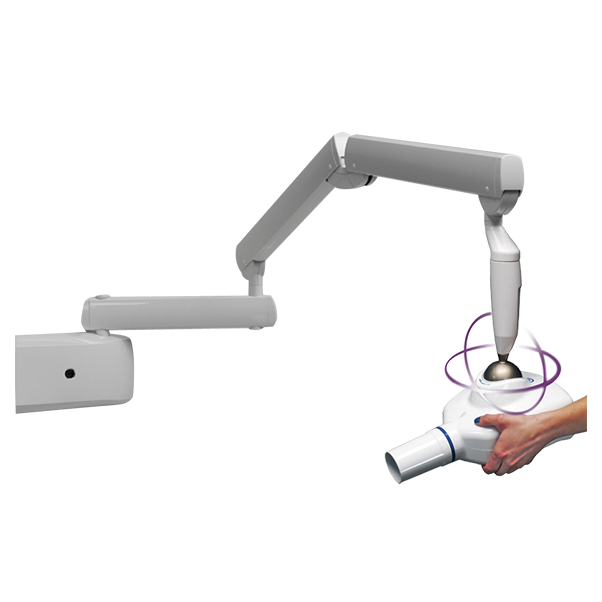 Lightweight, solid arms in extruded aluminium with an integrated self-balancing system reduce any risk of tube head vibration or drift during image acquisition. Great installation versatility and multiple arm lengths are available for wall installation. Optional mobile floor stand available X1200. 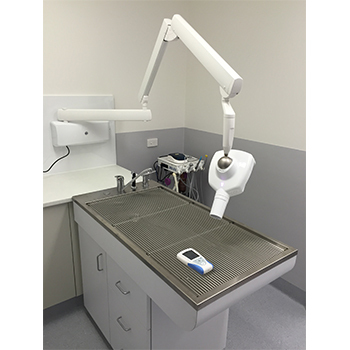 The Revolution 4DC, with its constant potential and high frequency X-ray generator, significantly reduces radiation dosage compared to traditional X-ray units. Not only are the most harmful, low energy radiation is almost completely eliminated (thanks to the high-efficiency generator), but the embedded 12” collimator minimizes the exposed bodily surface and increases the X-ray parallelism. This leads to better image quality and higher regard for patient’s health.